In our previous articles, we shared with you various information regarding electron cloud and its significance in the world of quantum physics and science. Today we shall discuss with you some tips regarding how to draw electron cloud diagrams. If you are a science student then you must be required to draw the electronic cloud diagrams of various atoms. Here through this article, we are going to provide you with the electron cloud model diagrams of some common elements and what is electron dot diagram. 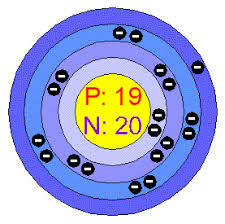 Here we are going to share the electron cloud model for Potassium. Here we are going to share with you the electron cloud model for Neon. The Electron Dot Structure or Lewis Dot Structure are diagrams that show the covalent bonds formed between the atoms of two elements and dots are used to represent the positioning of the electrons. It is also known as the Lewis Dot Formula or Lewis Dot Diagrams. 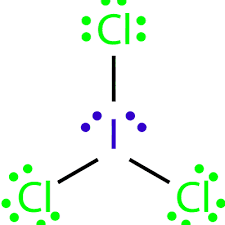 Lewis structures use the chemical symbol of an element to show each atom and its structure in the molecule. 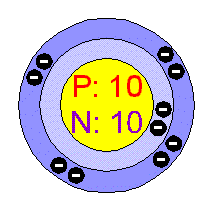 To represent the covalent bond formed between two pairs of atoms, lines are used. But pairs of dots may be used too.